Nasya involves the administration of herbal oils through the nasal passage. 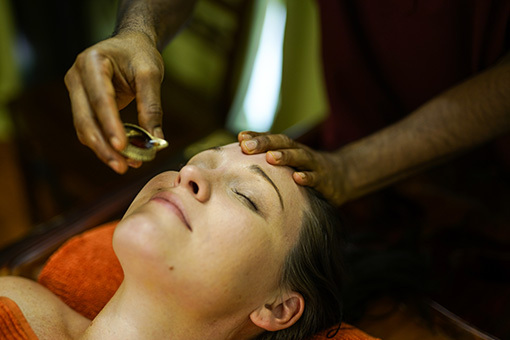 In Ayurveda, Nasya is considered the ultimate treatment for addressing body imbalances above the shoulders. This treatment begins with your head, face and neck being massaged with warm oil, then an exact dose of Nasya oil is poured gently into your nose. Opens and clears the sinuses. Improves resistance to illnesses and allergens. 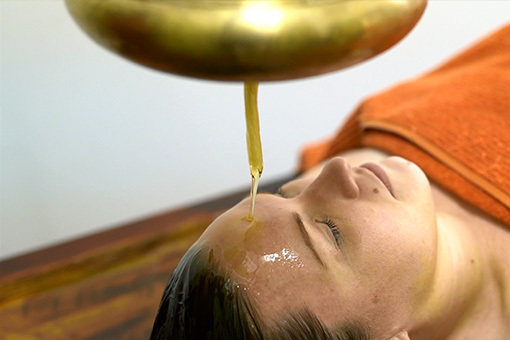 Shirodhara involves the pouring of warm herbalised oil over your forehead from a hanging pot. This induces an experience of deep relaxation to rest and calm your mind. 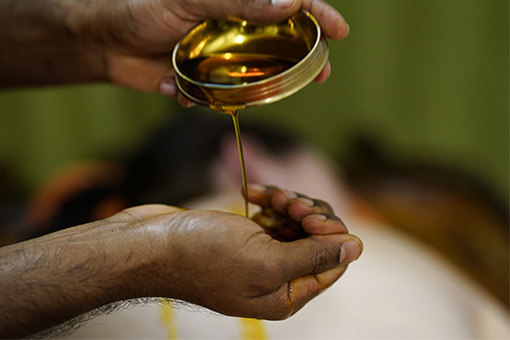 Ayurvedic massage is a deeply rejuvenating and balancing treatment involving the application of warm herbalised oil to your body. Udvartana is a treatment in Ayurveda in which specially prepared herbal paste or herbal powder is massaged over the body. It is a treatment used to support weight loss or detoxification programs.